Hello and welcome back to the WCU PodCats Podcast! We are thrilled to be back from our summer slumber in the month of July and will be bringing you new episodes each Tuesday from now until the holidays in December. 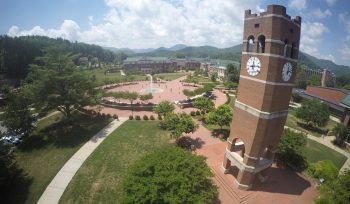 This week Josh covers the Week at Western and preseason news from the Catamount Football team before being joined by Patrick and Justyn for our spotlight of the week from the Mountain Heritage Center featuring the history of the Noble 9! Remember to download/rate/subscribe/review on iTunes and iTunesU, like us on Facebook, and follow us on Twitter… and as always, Go Cats!